Godzilla is going big. The mega monster movie is crashing onto movie screens next week, accompanied by a host of toys and collectibles we’re just dying to get our hands on. 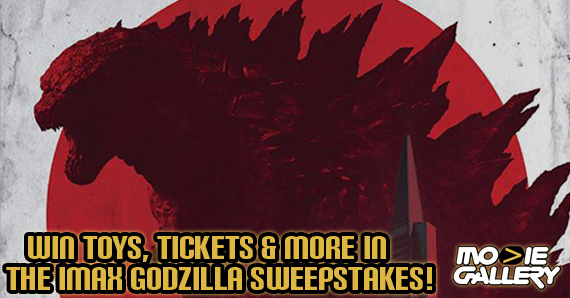 Now you can win some of that bounty — as well as see Godzilla himself on a screen big enough to do him justice! 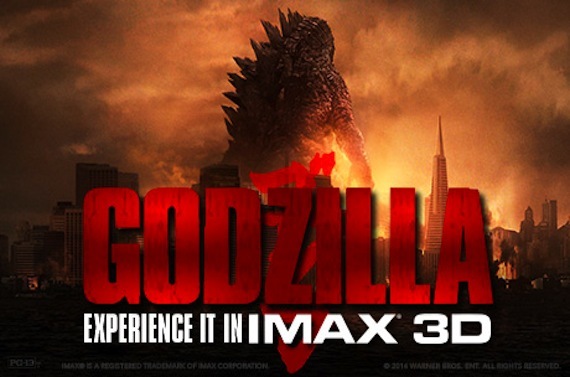 IMAX has just announced a Godzilla IMAX Sweepstakes with loads of prizes from sponsors like Sideshow Collectibles, NECA, JAKKS, Bandai, TigerDirect, IMAX and more. There’s 1 Grand prize and 5 First Place prizes, and the sweepstakes runs until 5/26/2014. So go ahead and enter to win — you literally can’t lose, since all entrants will receive a $25 credit at Sideshow Collectibles. This entry was posted in Contests & Giveaways and tagged godzilla, godzilla 2014, sweepstakes by summerm. Bookmark the permalink.